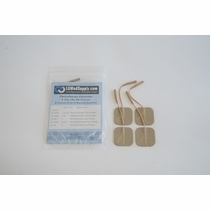 ONE OF OUR TOP SELLERS AND CUSTOMER FAVORITES FOR BACK PAIN RELIEF, THE QUICKDRAW RAP IS ONE OF THE MOST EFFECTIVE BACK BRACES ON THE MARKET! This is NOT a typical back brace. The ASPEN QUICKDRAW BACK BRACE is recognized as one of the most effective available in the world today. Simply place the brace around your waste with the easy velcro strips, then pull the "drawstrings" to get the PERFECT fit. It is literally, that easy. Aspen QuickDraw RAP is one of the most effective back braces for pain relief for acute and chronic low back pain. 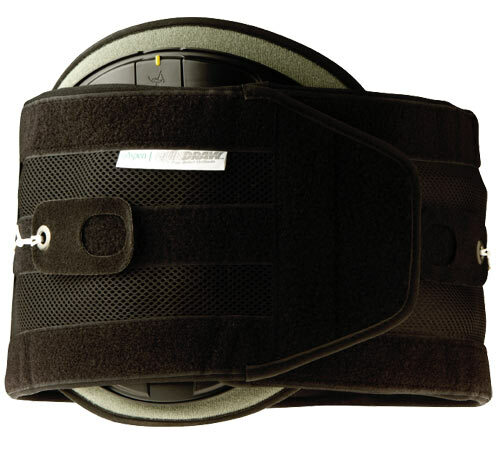 The Aspen QuickDraw RAP Back Brace is a comfortable, extremely effective and easy to use device for those with chronic back pain. 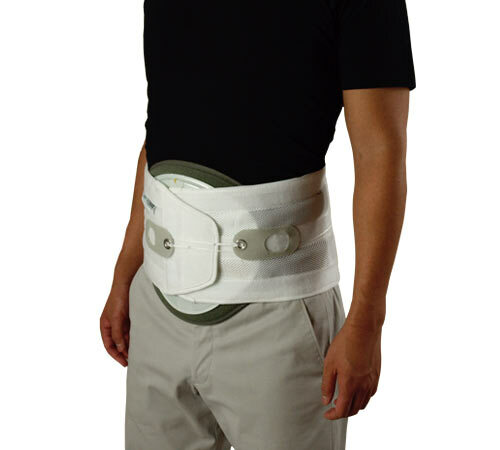 Sized according to male or female pant sizes, this back brace is a product that incorporates two draw strings that easily control and adjust compression around the lumbar region. This Aspen QuickDraw RAP product has two drawstrings. Even patients with limited hand strength can use to get effective compression for immediate pain relief. 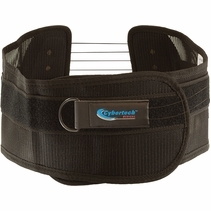 The Aspen Quick Draw has a removable anterior panel that provides enhanced stability and pressure distribution for a wide range of patient needs and is perfect for individuals suffering with chronic low back pain requiring a higher degree of support than what a typical lumbar corset-style braces can provide. The Aspen Quik Draw brace can be worn over or under clothing and is made of breathable, washable material. The back brace is available in XS to XXL sizes, which can accommodate a range of waist circumferences from 21 to 57 inches. For bariatric-sized patients, an optional extension panel can be used to add up to 8" more waist circumference. 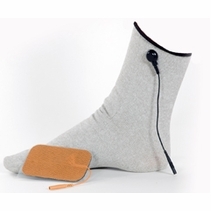 The back brace can also accomodate an optional cold pack inside the posterior pocket to provide centralized cold directly on the spine - a great treatment adjunct. 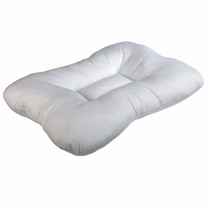 Removable rigid anterior panel -RAP- enhances abdominal compression and lumbar support during all activities. 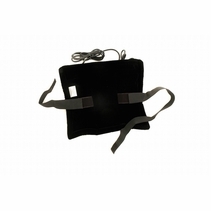 Patented quick draw mechanical pulley system tightening of the back brace simple with two easy handle drawstrings. Regular Anterior Panel or Large Anterior Panel comes standard with this order - get the regular if you are 5"10" or shorter and the large if you are 5'11" and taller. "My dad will never fully get over his back pain. We have tried EVERYTHING. He lives in chronic pain. I will say this - the ASPEN Back Brace has made his life so much better. Whether sitting around or walking around, the brace makes him feel so much more support. It has decreased his pain more than any medication ever has. 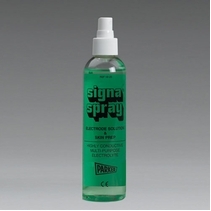 Thank you for making this product available to us." "I am so much more comfortable when walking and sitting"
"This wrap so sturdy - it is exactly what I needed"
"The Quick Draw Rap is the best back brace ever!" "It is so easy for me to put on. I am 80 years old and love your brace. The drawstrings make it so easy for me to tighten. "Love the drawstrings. So easy to use." "My dad absolutely loves my gift. His friends purchase one too. Thank you." 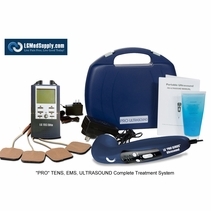 Order the Aspen Back Brace and we will included a FREE Portable TENS Unit Today. 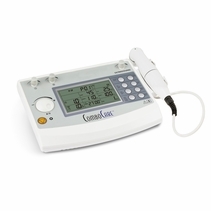 A TENS Unit will provide you with incredible pain relief. Many people claim that after wearing a unit for as little as 30 seconds, their back pain greatly subsides. 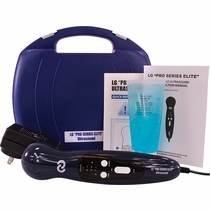 The LG TENS Unit features a wide array of output combinations to help the user get the settings "just right". It also features three modes: B(Burst), N(Normal), and M(Modulation). 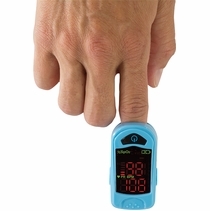 The pulse rate, pulse width, and amplitude are adjustable to lessen acute pains due to an accident or chronic conditions such as arthritis or other joint and muscle conditions. 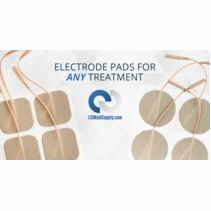 Those who prefer an alternative to invasive medical procedures or high cost drugs, this may be part of the solution for you.